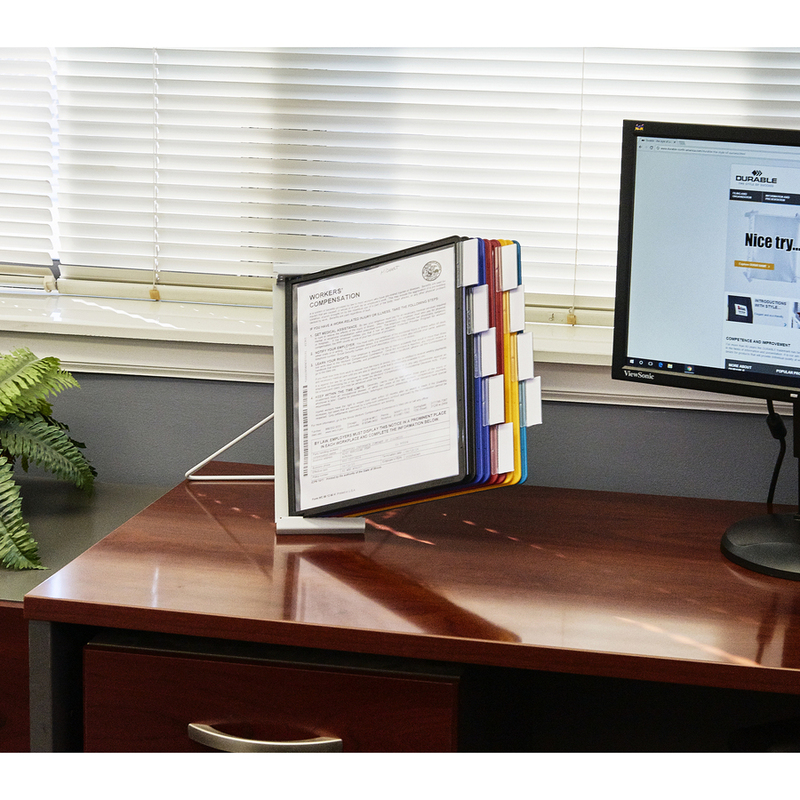 Desk reference system offers a way to keep frequently used reference documents at your fingertips. 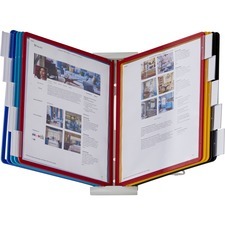 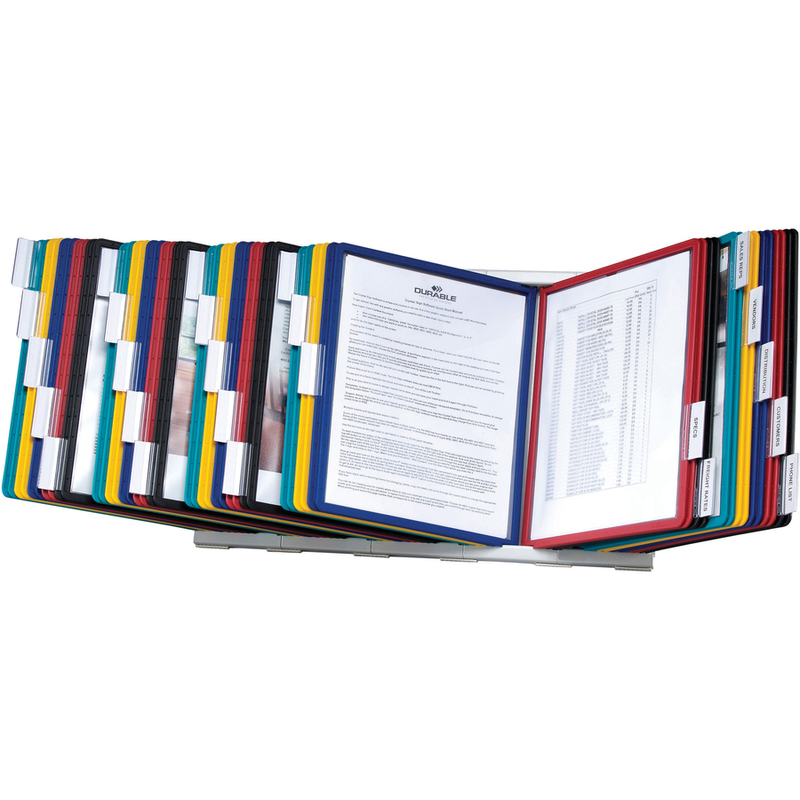 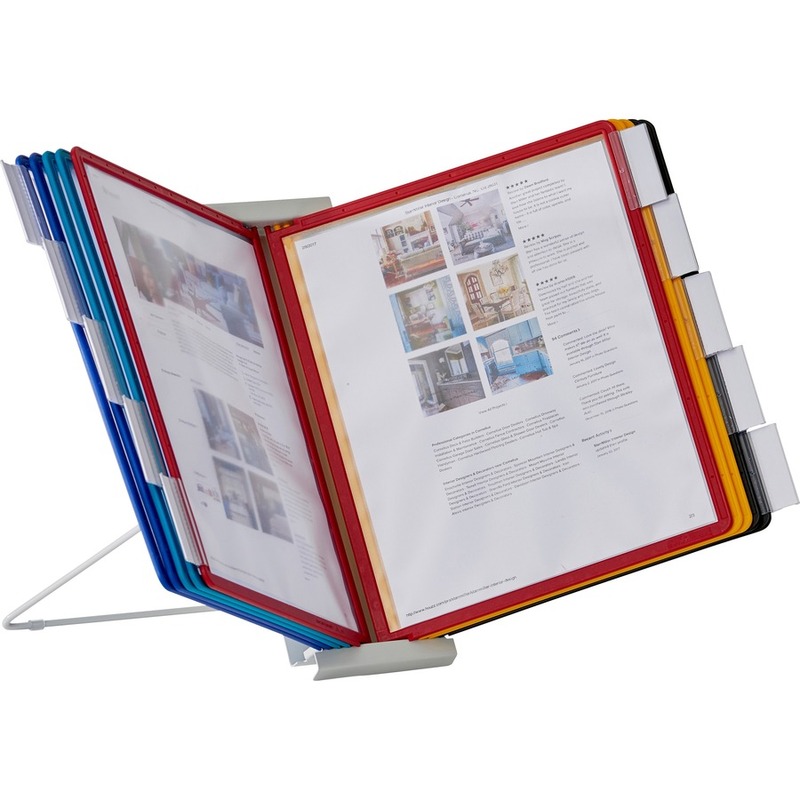 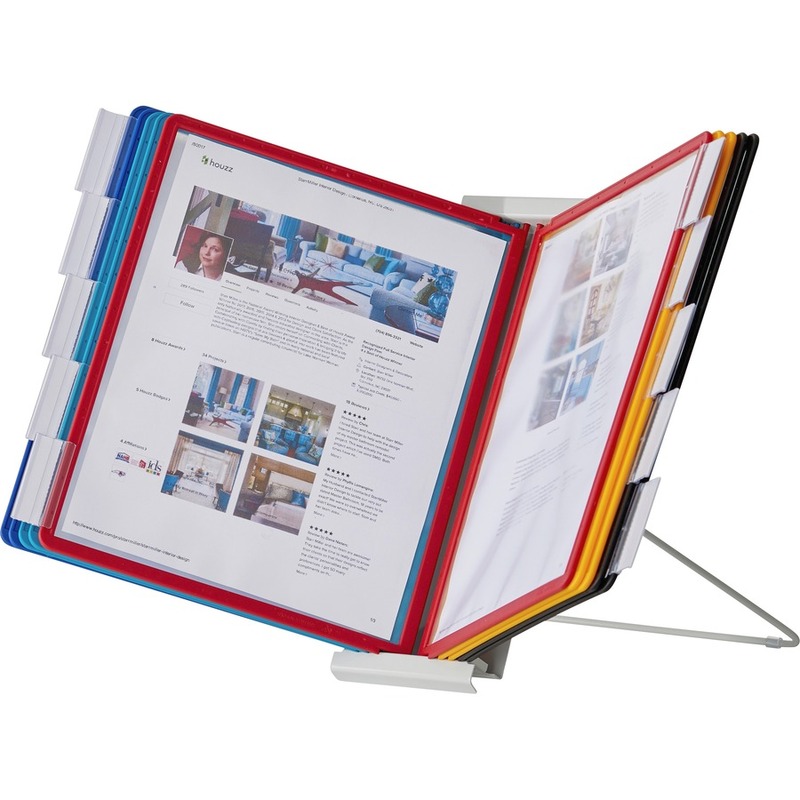 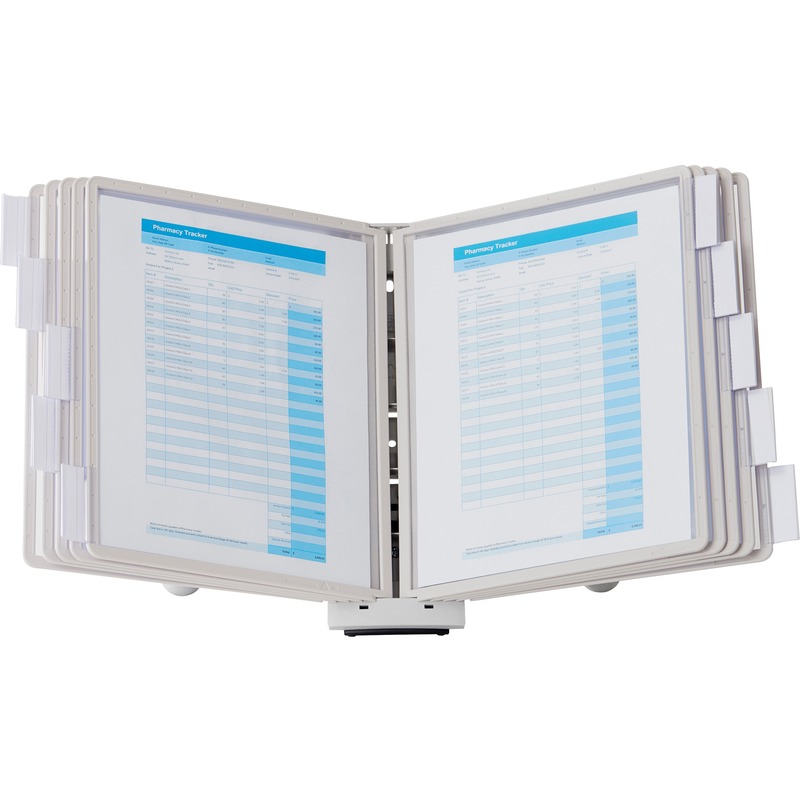 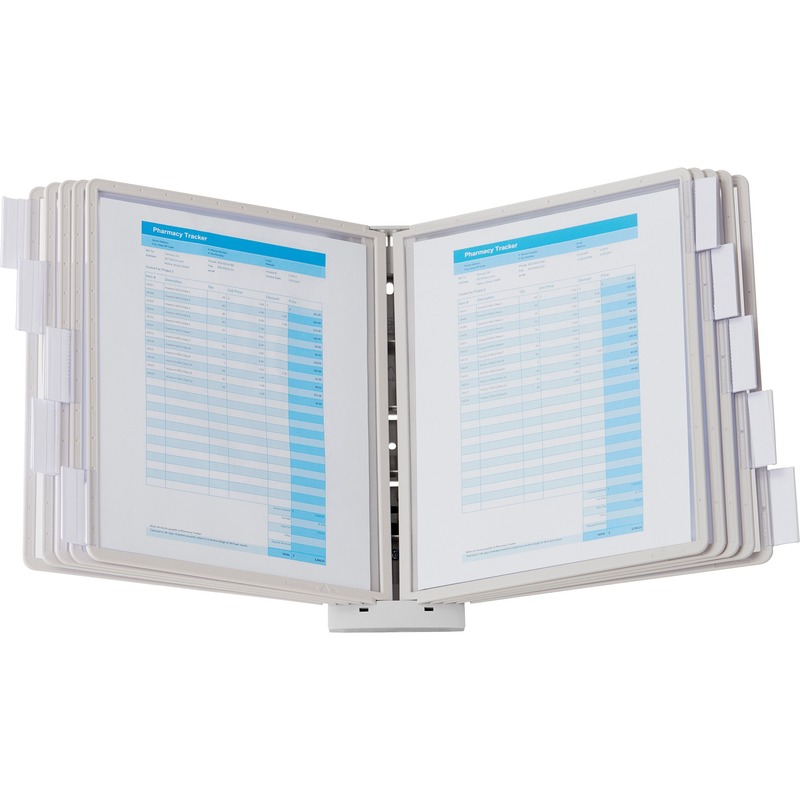 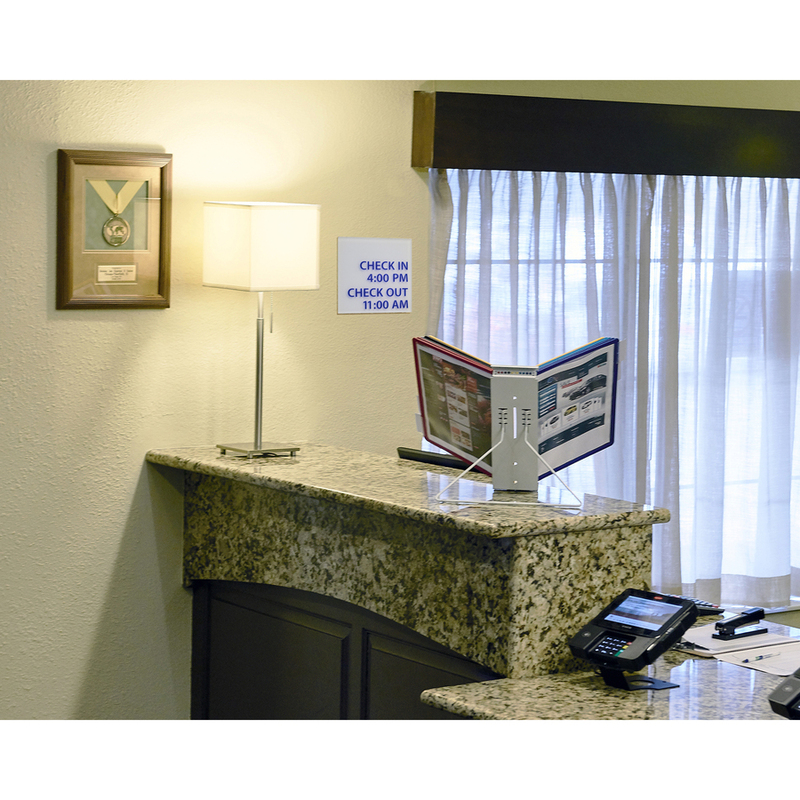 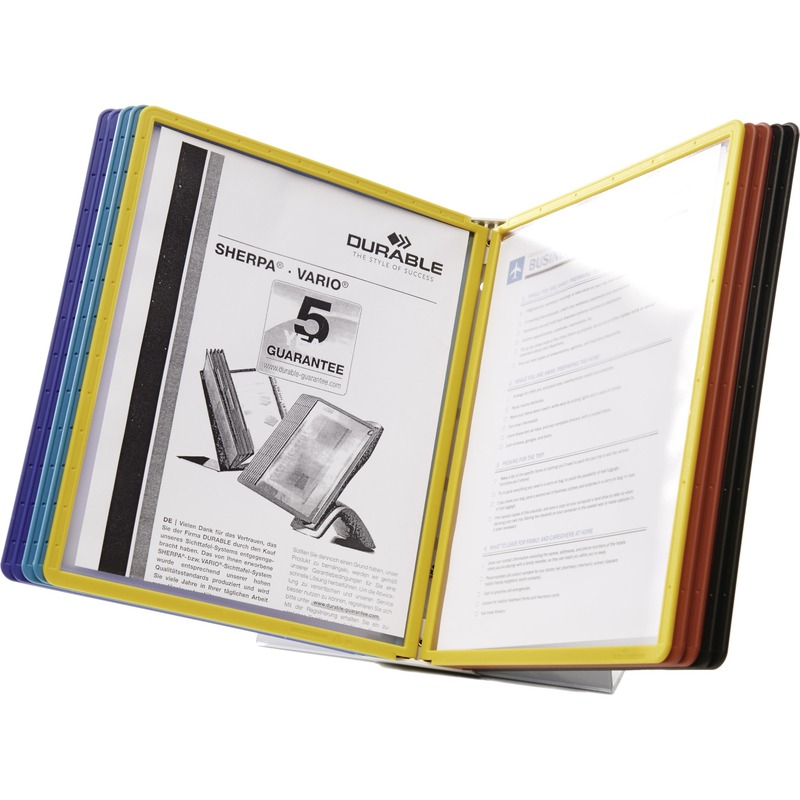 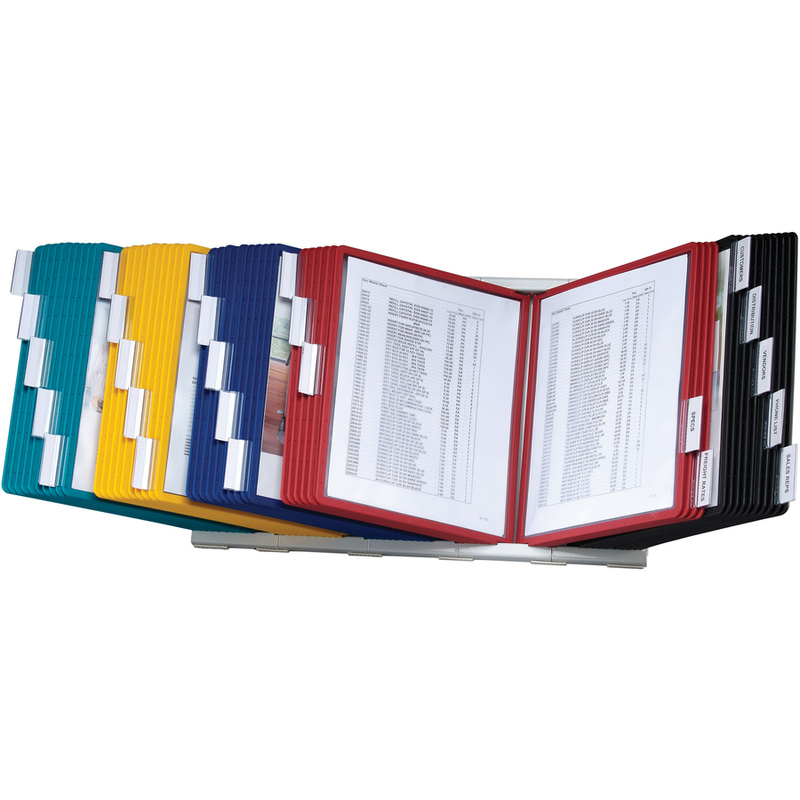 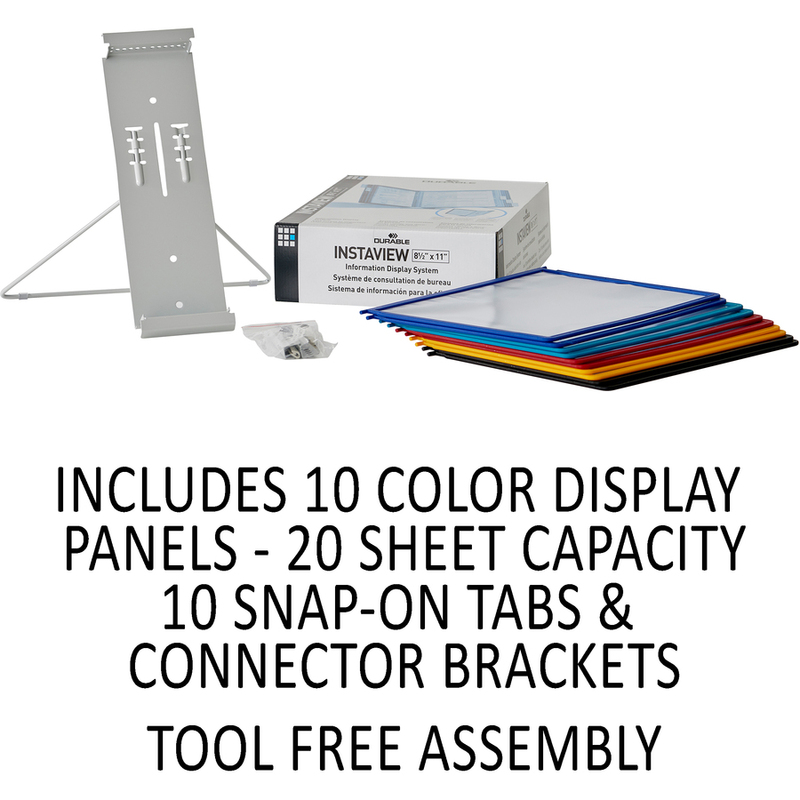 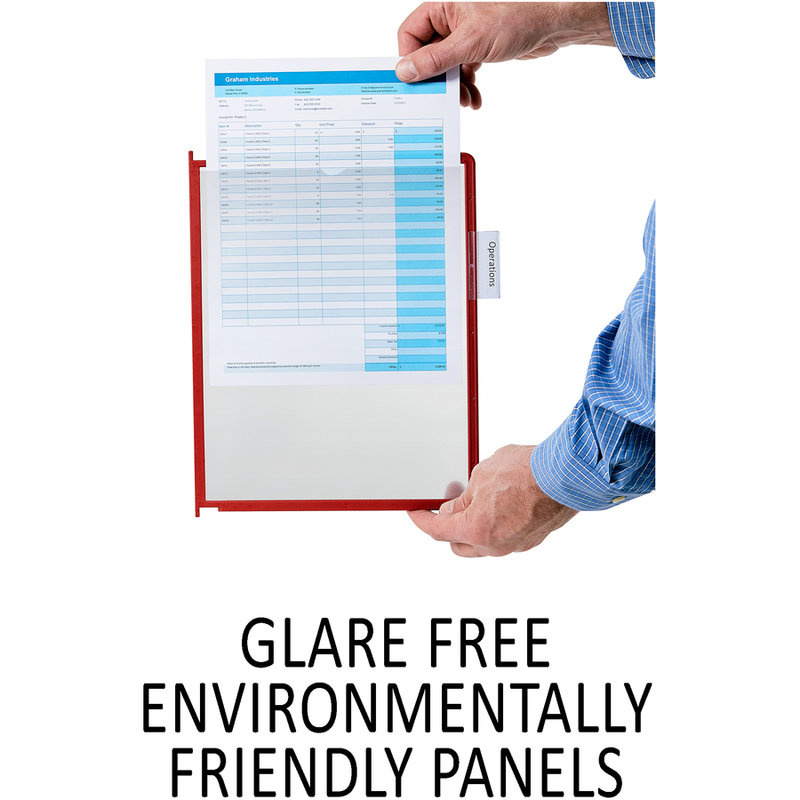 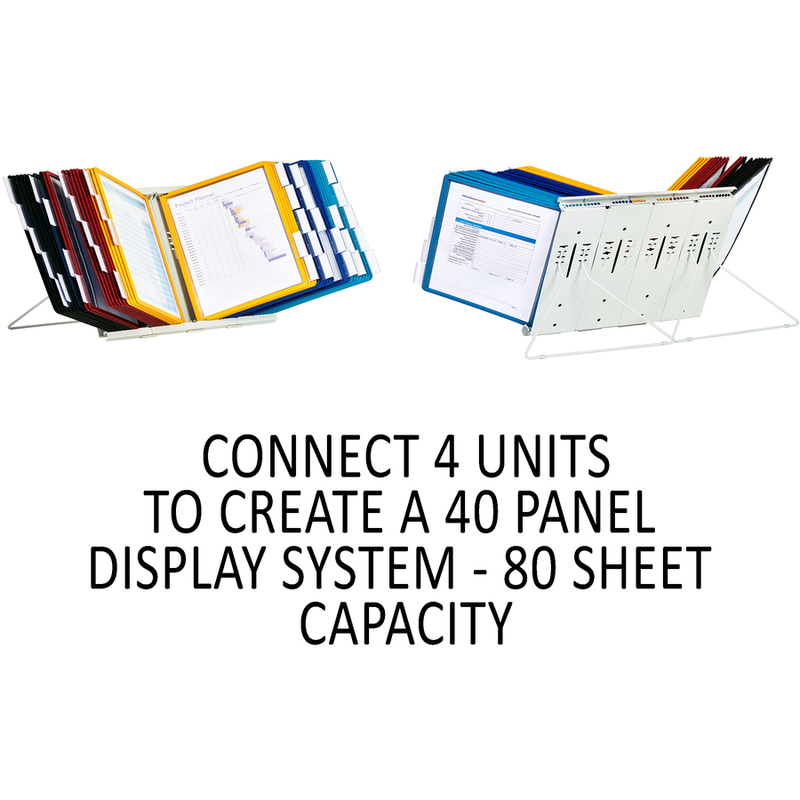 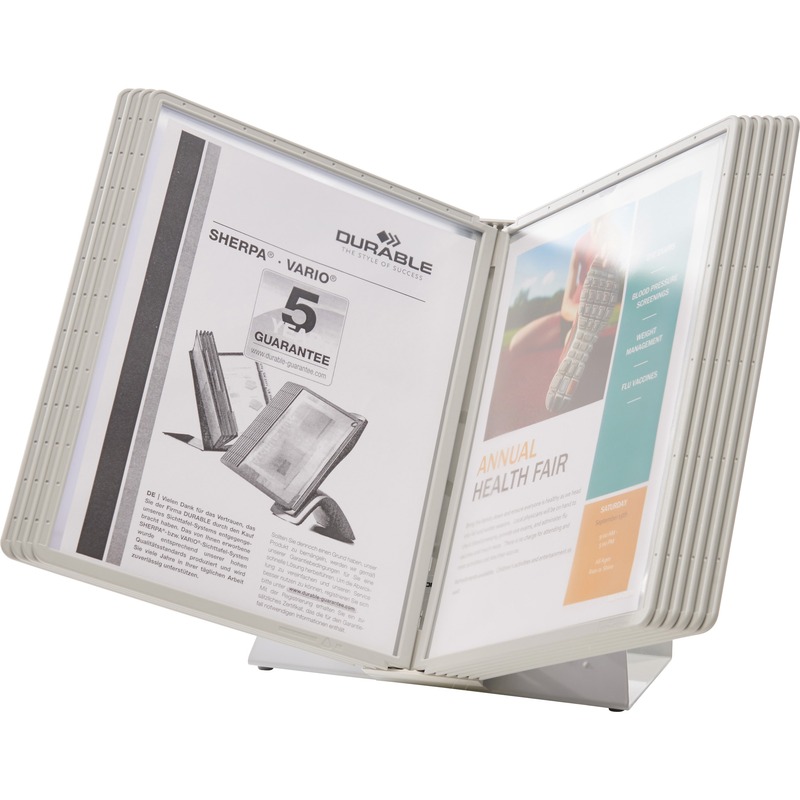 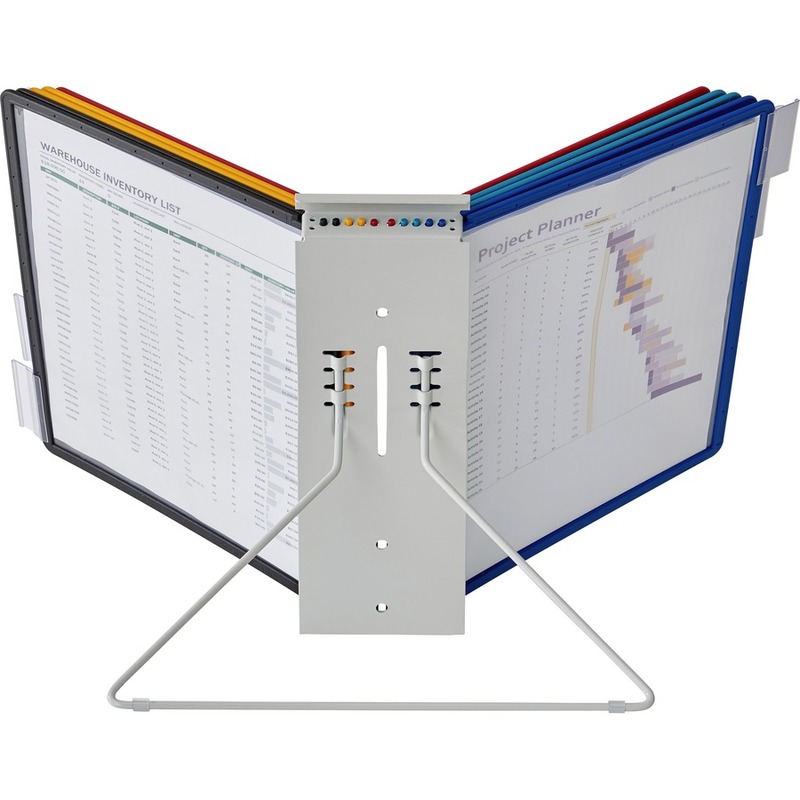 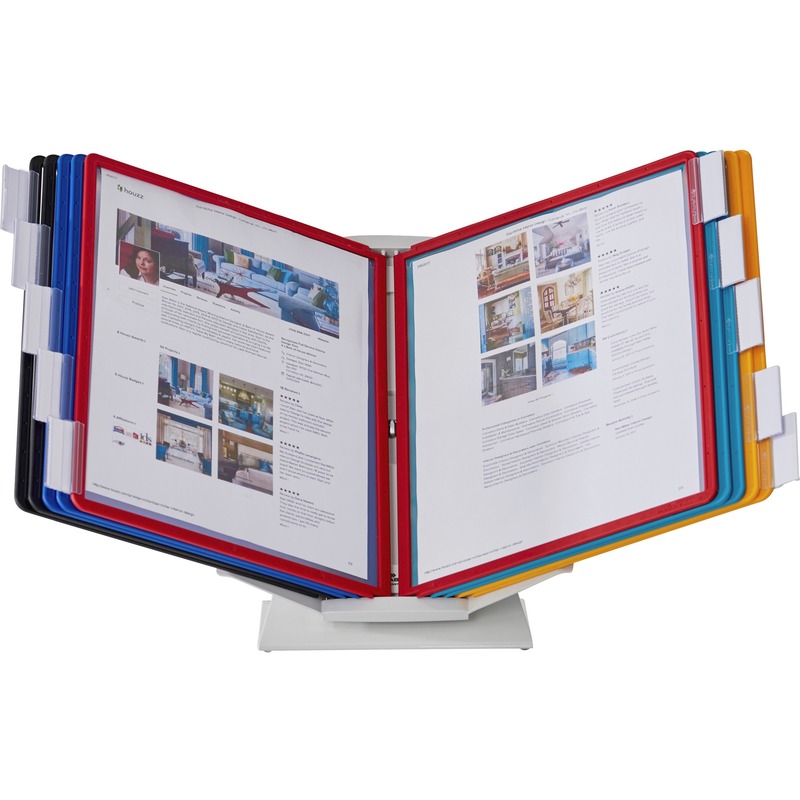 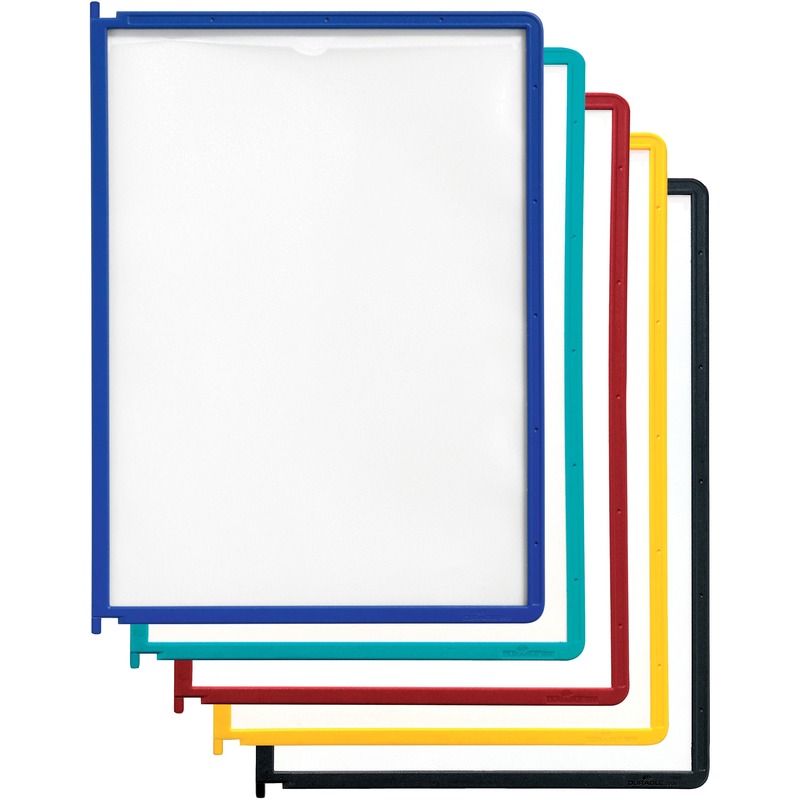 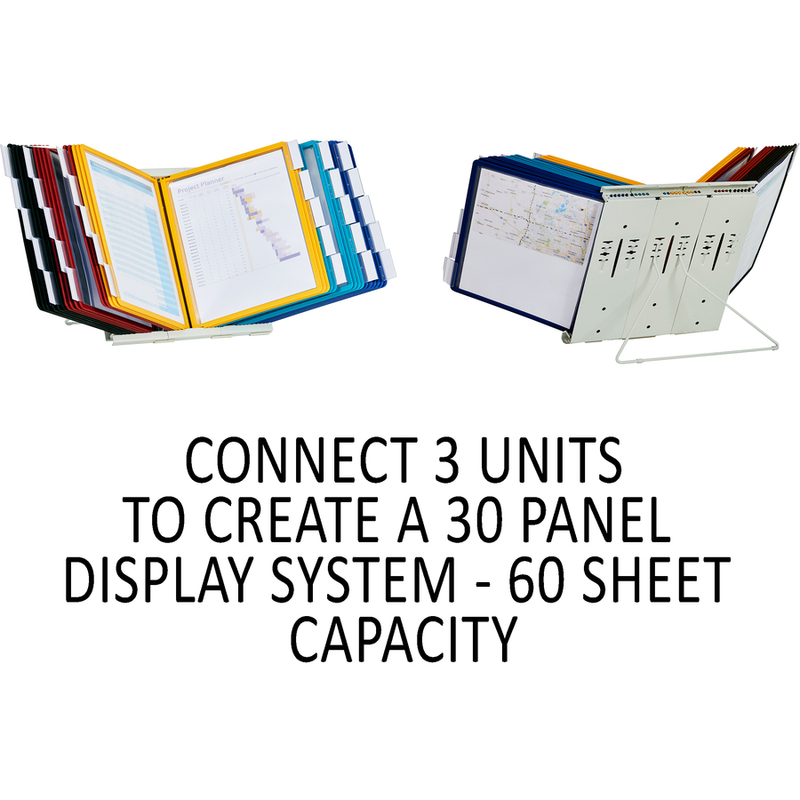 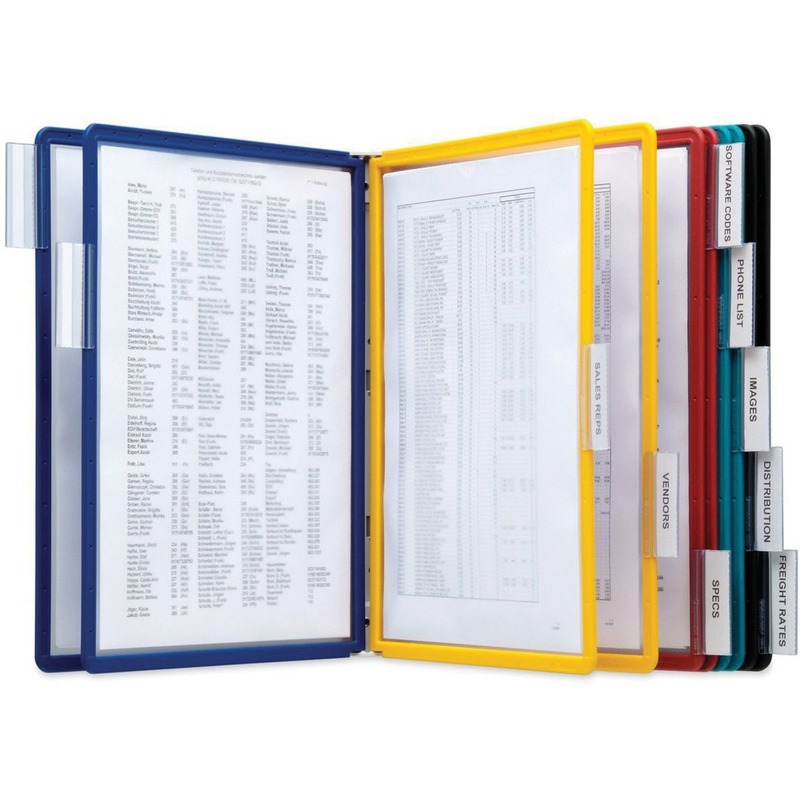 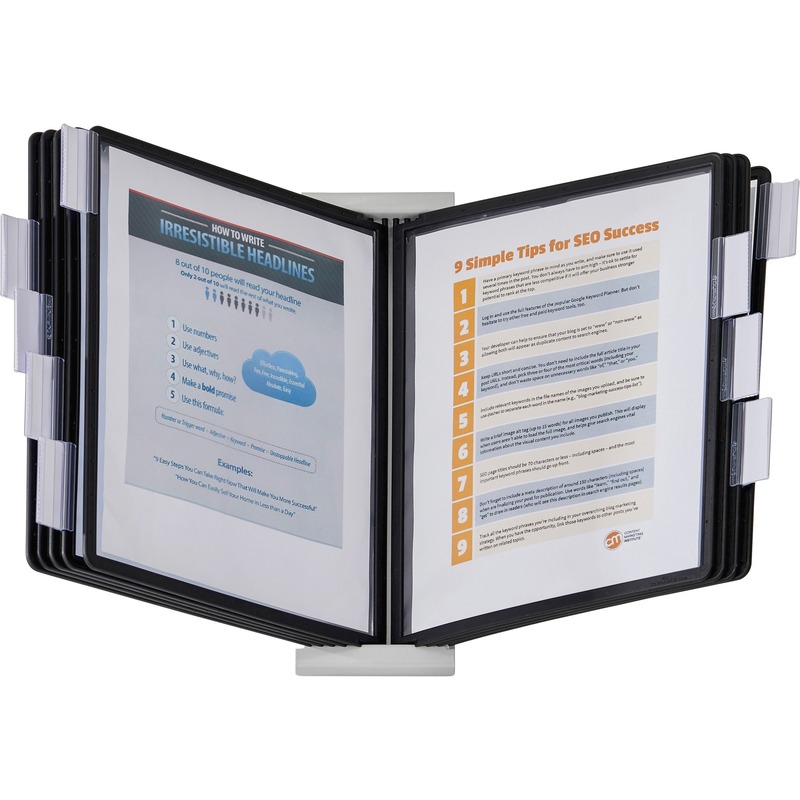 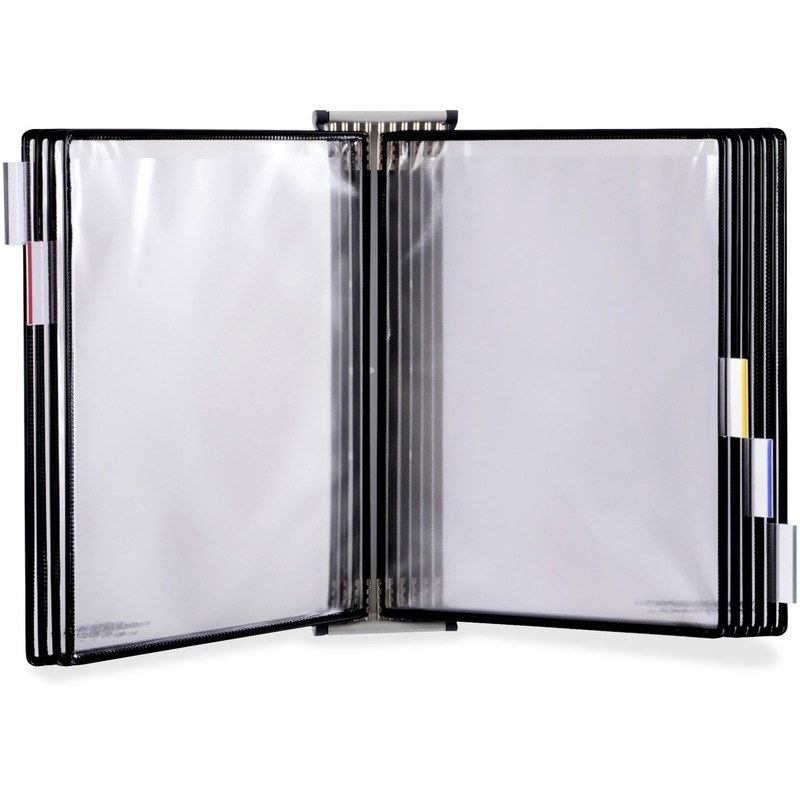 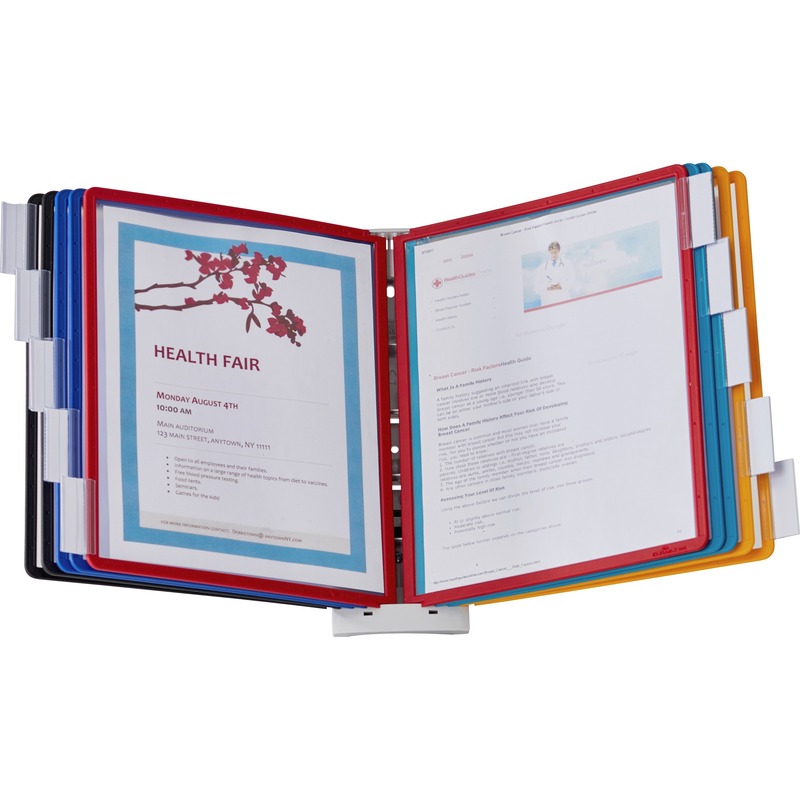 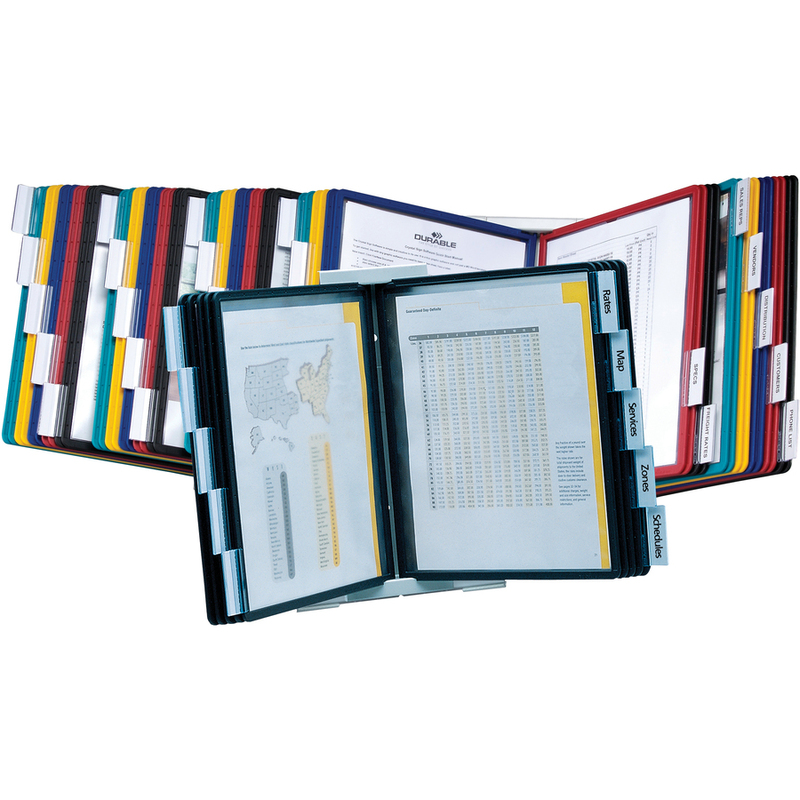 Display important document in the included 10 letter-size, nonglare, double-sided polypropylene panels (20 viewing sides) with rigid borders and five snap-on tabs. 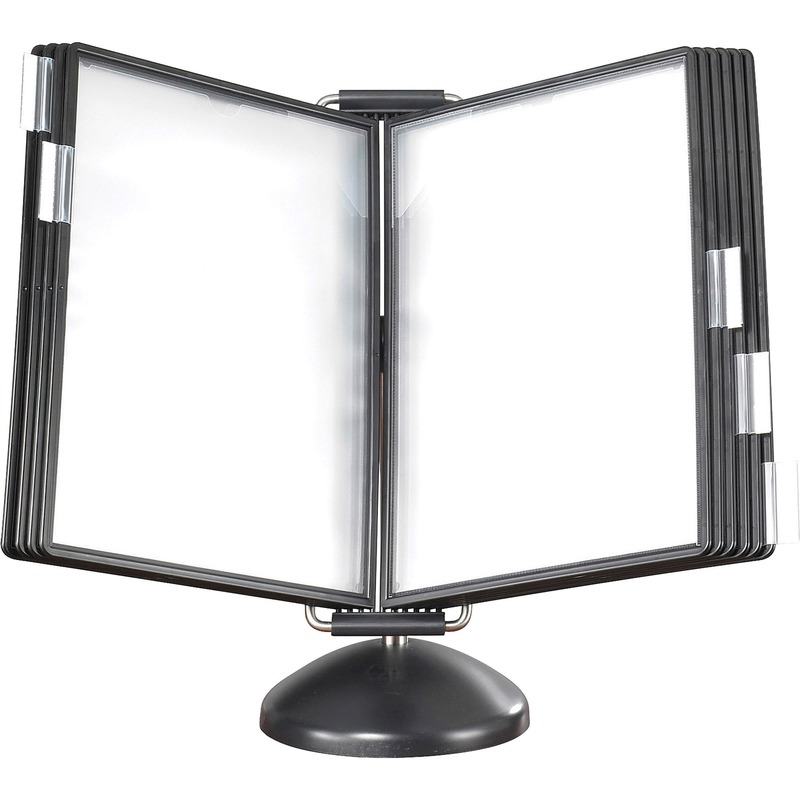 Reference system includes a wire desk stand and two snap-on connectors. 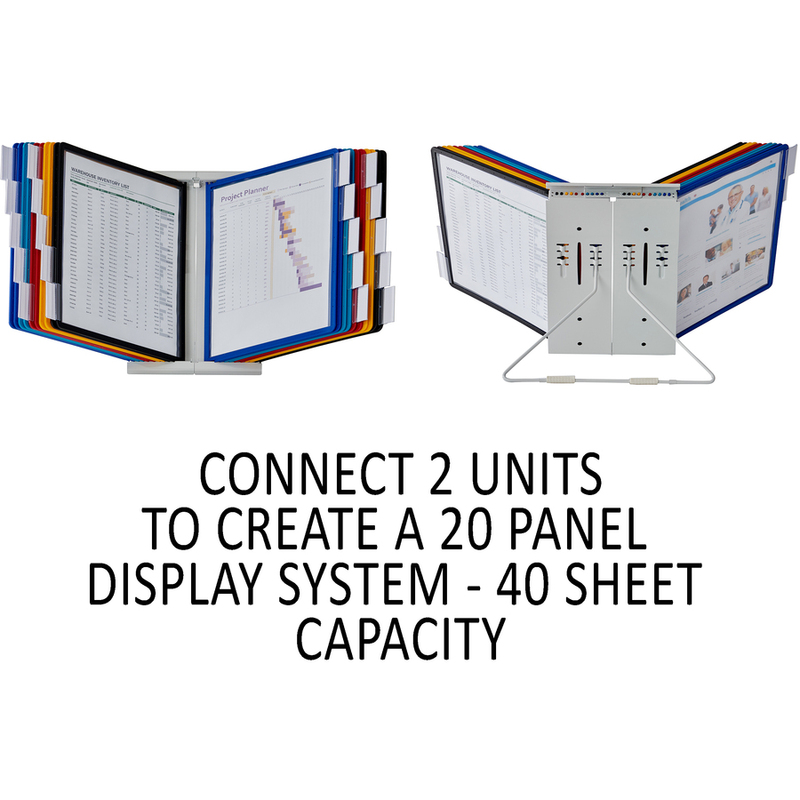 To expand, use included connectors to link systems together. 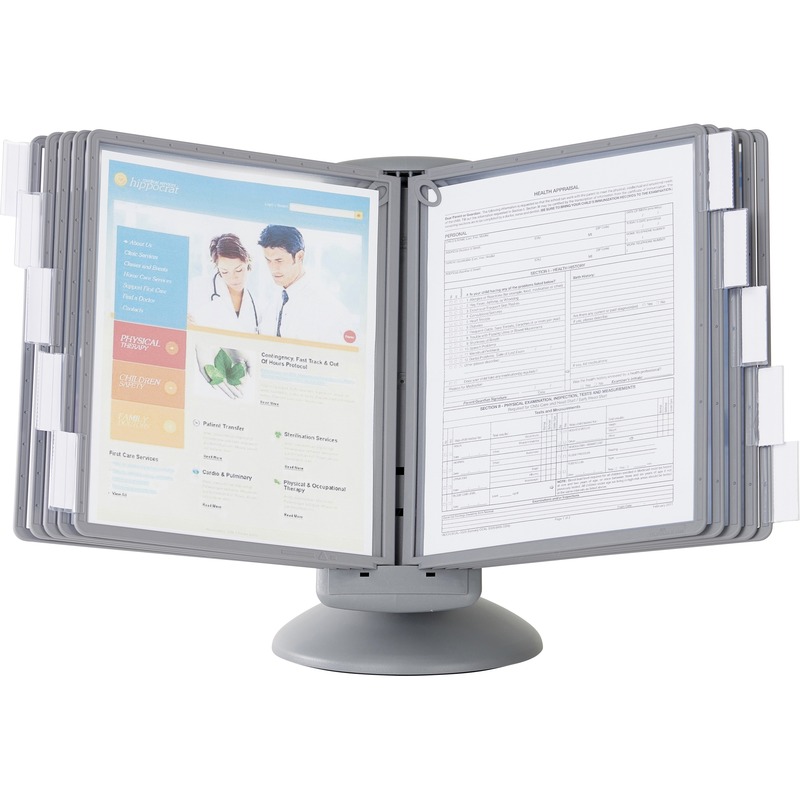 Additional InstaView systems are sold separately.